As a student, moving out of your student accommodation in Camden is likely to be the last thing you think about at the end of a busy term and consequently tends to get left until the last minute. Some universities require students to vacate their rooms at the end of each semester, whereas others allow students to stay until the end of the academic year. Whatever your situation may be, there are certainly things that you can do to make the situation easier to handle, leaving you more time to get on with and enjoy student life, and perhaps even some studying! 1. Make a moving checklist. Instead of lugging all your student possessions to and from your university room in Camden, NW1 to your out of term living accommodation, make a checklist which will help you to systematically pack and only take your student essentials. Leave stuff like bedding and furniture, but if you’re required to completely empty your room at the end of each semester, consider putting your items into storage. Many storage companies usually cater to students and can offer you deals with cheap and affordable storage solutions during the student holidays. 2. If you can’t call upon your parents to bring you home at the end of term, look into hiring the services of a removal company. Removal companies can offer you plenty of removal services that can help you with a swift and efficient move out of your student accommodation. Although you may be tempted to do so, it’s ill-advised for you to leave booking a removal service until the last minute. Leave yourself plenty of time to do your research, call up lots of different companies and get some quotes. It may also be worth getting some information from your university accommodation service, as they’re also likely to be able to suggest some companies for both international and domestic moving tasks. 3. For a cheaper alternative, why not consider man and van hire? 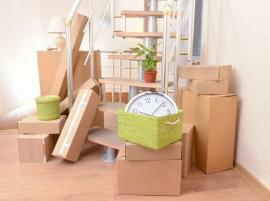 Hiring a man and a van service is a great option for students who need some help with small removals. As a student, it’s unlikely that you’re going to be able to fill up a large sized removal van anyway, and so hiring the services of a friendly, local and affordable company can provide you with a great alternative. Rather than spending more money on hiring a large van, half of the space of which you probably won’t even use, a smaller vehicle with hard working personnel could be the answer. They’ll help you to load up your possessions into the van, secure them for the journey, transport them to your destination of choice and then unload the van, so you won’t have to worry about a thing. 4. Saving as much money as possible is part and parcel of life as a student, so don’t forget to haggle when you can and see if you can sweet talk your way into getting a few discounts. It’s always worth haggling, within reason, because you never know how much you could save. For those who aren’t comfortable haggling face to face, it should actually be done over the phone when you begin calling up companies in Camden and short listing those who you may want to book with. Ask if you could save money in any way; perhaps moving on a weekday could save you a few pounds, or booking in advance could save you some cash. Don’t be shy and ask, because if you don’t ask, you don’t get, and you could end up saving yourself a nice little bundle of cash.